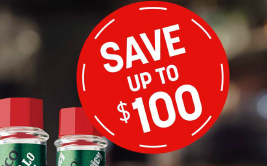 Tabasco Tabletop Save up to $100. Redeem by 1/17/2019. 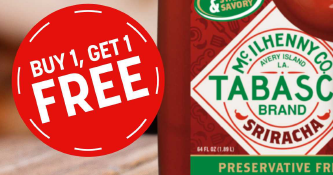 Tabasco Sriracha Buy 1, Get 1 FREE! Redeem by 1/17/2019. 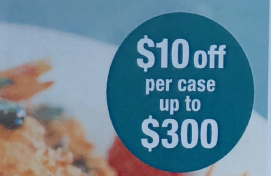 Earn $1 Off Per Case Up To $500. Redeem by 1/15/2019. 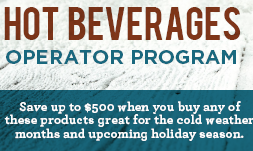 $100 REBATE On Your First 25 FULL Cases - Mix and Match!. Redeem by 1/31/2019. Karo Operator Rebate. Redeem by 1/31/2019. 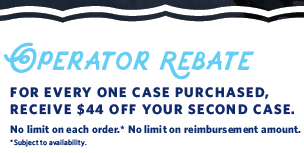 Earn Your LAND O'LAKES Rebate Today. Redeem by 1/31/2019. Hot Beverage Rebate 7.20.18. Redeem by 1/31/2019. Cold beverages. 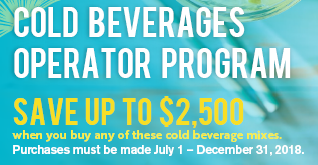 Save Up To $2.500. Purchases must be made July 1 – December 31, 2018. Redeem by 1/31/2019. Skippy cup Rebate form through 12.31.18. Redeem by 1/31/2019. ACH Karo Operator Rebate Form 2018. Redeem by 1/31/2019. 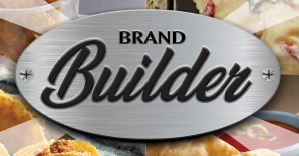 Ajinomoto Brandbuilder BOGO. Redeem by 41/30/2019. Armanino - Pesto Coupon - 1-1-18 to 12-31-18. Redeem by 1/31/2019. 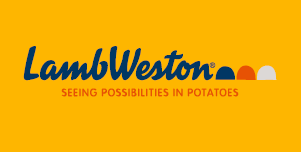 Hershey Fall Baking Rebate 2018. Redeem by 1/31/2019. CBI Rammi Rebate - Promotion 10.24.18 thru 12.28.18. Redeem by 1/28/2019. Softlight 30510 Flyer 24hr. End 2/28/2019. SpeedHeat Conversation Flyer. 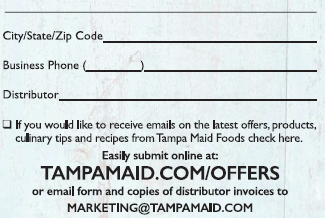 Redeem by Feb. 2019. Save up to $650 on Holiday Stuffing and Crispy Onions. 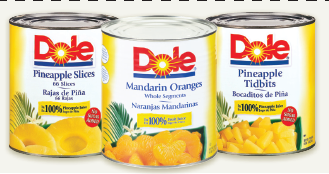 Products must be purchased between October 1 and December 31, 2018. Redeem by 1/31/2019. Q4 2018 Insect Control End User Rebates. Redeem by 1/31/2019. Diversey Foodservice End User Rebate. End 2/28/2019. 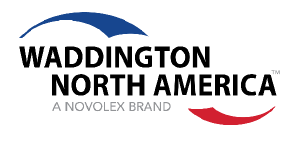 Save Up To $100.00. Redeem by 1/31/2019. 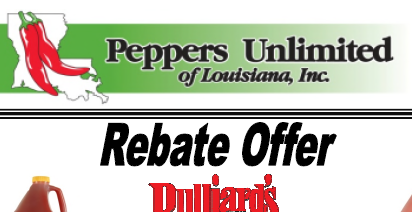 Seashore Puffs Up To $500.00 rebate offer. End 5/31/2019. 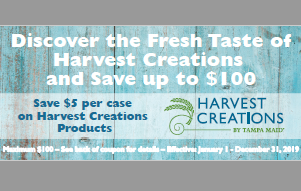 Seashore Puffs FREE case rebate offer. End 5/31/2019. 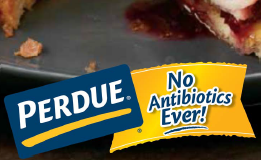 SAVE UP TO $8 PER CASE* ON PILLSBURY™ Biscuits! Holiday Program - 2018. Redeem by 2/15/2019. Grow Spring Profit a Whole Brunch.